You are looking for warm undergarments in a natural but refined material ? Opt for tank tops or undershirts in wool and silk. 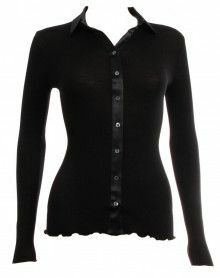 If you look for rather plated undershirt, we recommend you wool and silk underwear of OSCALITO and BARBARA. For wool and silk clothes in plain seam, opt for MORETTA. These three brands offer you different forms from tank top to long sleeve undershirt. Wool and silk undergarments There are 60 products. 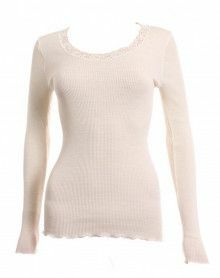 This soft Oscalito top gently offers a refined and elegant pipping in lace. Blue color. This tank Oscalito smooth is one of the great standard of the brand.